Australian leaders of all political stripes, past and present, reflect on the political legacy and legend of Gough Whitlam. Upon the death of Gough Whitlam on Tuesday, all sides of politics paused to unite in remembrance of a giant of Australian politics and reflect on his tumultuous era. In a tribute speech delivered to reporters and cameras Labor opposition leader, Bill Shorten, said Gough Whitlam had transformed Australia. “Like no other prime minister before or since, Gough Whitlam redefined our country – and in doing so, he changed the lives of a generation and beyond,” Shorten said. “His vision, his ambition offered Australia a new sense of what it might be. “He reimagined Australia – as a modern, multicultural nation where opportunity belonged to everyone. 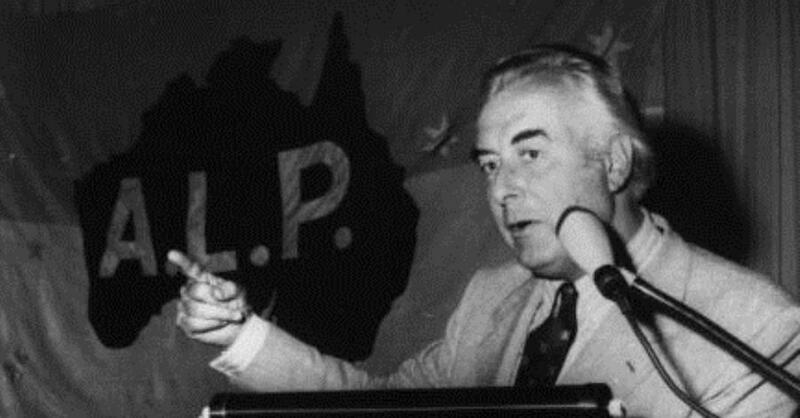 “Gough was a giant of the Labor Party and a great leader of our nation. Gough’s was a truly Australian life and a life truly lived for Australia. “Gough did not just want to serve our nation; he wanted to transform it – utterly and permanently – and he most certainly did. “Like so many people, I believe the Whitlam government should not be measured in years but in achievements. The regular parliamentary programme was suspended for the day in order that members could offer their remarks on the controversial former Labor prime minister. Current Liberal PM, Tony Abbott, lead the many glowing tributes in parliament. Describing Whitlam as a “giant”, Abbott said that while he may not have been Australia’s greatest prime minister, the Labor legend was certainly one of the nation’s greatest personalities and noted that his legacy of reform ultimately affected both sides of politics for the better. “He was only prime minister for three years – three tumultuous years – but those years changed our nation, and one way or another set the tone for so much that has followed,” Abbott told parliament. It was Liberal communications minister, Malcolm Turnbull, who worked with Whitlam’s son in the private sector and with Gough himself on the 1999 republic referendum campaign, who affected the most emotion though, bringing himself and others to tears. In a statement, another former Labor prime minister, Paul Keating, said Whitlam had “snapped Australia out of the Menzian torpor” and “changed the way Australia thought about itself and gave the country a new destiny”. In a later interview, Keating spoke about the epochal nature of Whitlam’s government, saying there was Australia before 1972 and Australia after 1972. Julia Gillard chose to focus on Whitlam’s abolition of tertiary education fees, writing that Gough was “alive in our universities and the many lives he changed by giving free access to university education, my life included in that count”. PUP leader, Clive Palmer, noted that he too benefited from the Whitlam government’s free university policy. Greens leader Christine Milne, reflecting on the shared values of her party and the ALP – particularly the Whitlam vintage ALP – said the Labor leader “was prime minister for only three years but he swept all before him” and “made us a progressive nation and put us on the global map”. Malcolm Fraser, the former Liberal leader who supplanted Whitlam as prime minister when he was dismissed by Governor General John Kerr in 1975 – and who Whitlam famously derided as “Kerr’s cur” on the day – developed a friendship with his adversary in later years when they campaigned together on issues like media ownership and Australia becoming a republic. Upon Whitlam’s death, Fraser described his historical foe as a “most formidable opponent” and offered that his latter day friend’s greatest achievement was raising the nation’s sense of identity and purpose, that Australia no longer viewed itself as “an appendage to other nations”. “It’s a sad moment in the life of Australia, Fraser said. “Whether one’s a great proponent of Gough or an opponent, he was a very great Australian who contributed enormously to this country. “I am not going to talk about regretting particular actions or whatever because I don’t think this is the time to do this,” he added.